Also called "cumino", this nutty-flavored spice is also related to the parsley family, and its earliest use dates back to Biblical times. Though native to the Eastern Mediterranean and upper Egypt, cumin is now also cultivated in Morocco, the Middle East, China, and the Americas. Though the amber-colored variety is the most common, you can also find it in both white (same taste as the amber) and black (more complex flavor). The flavor and aroma are sweet and spicy, and just slightly bitter. Cumin is often used with coriander, which tempers the bitterness. Dry-frying seed before grinding mellows the flavor. As with coriander, cumin is often used to flavor curries and garam masala. 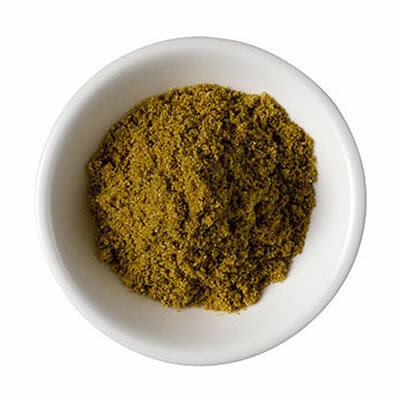 Cumin is widely used in dishes with strong flavors, including the cuisine of the Middle East, North African, India, and Mexico. It's also used in German classics like sauerkraut, pickles, and sausages, and in Dutch cheese.